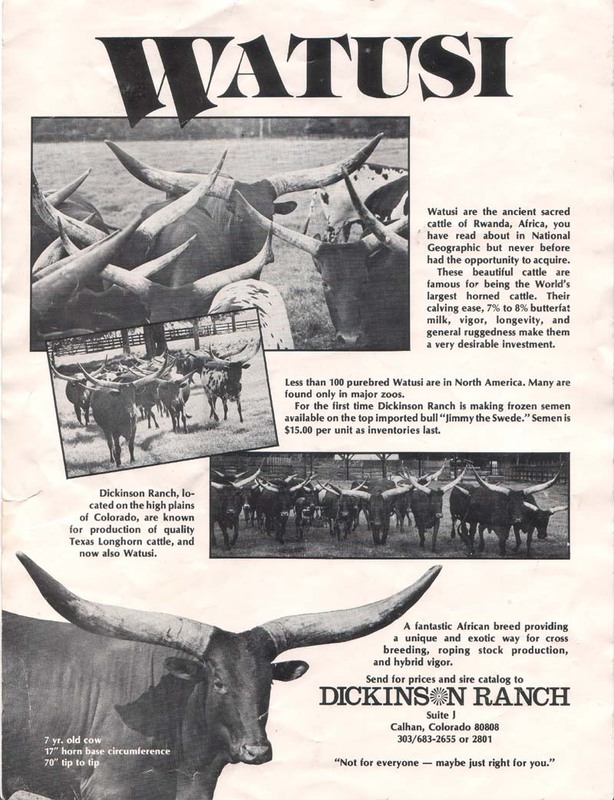 This is the very first advertisement on Watusi Cattle to be run in North America. It was in Western Horseman in 1979. Dickinson Ranch was sold in Colorado and now DCCI is headquartered in Ohio. Click here to Enlarge the Ad.